Saving Spalding Pets: AO6-3276 DUTCH SHEPHERD MIX-OWNER SURRENDER--CAMO-ADOPTED! 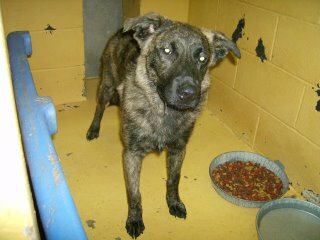 AO6-3276 DUTCH SHEPHERD MIX-OWNER SURRENDER--CAMO-ADOPTED! Camo is a 7 month old NEUTERED male. He has a beautiful long, brindle colored coat. His owner was an elderly woman who found Camo to be too strong for her to handle. He is a very sweet boy who just needs someone who can keep up with him! HIS LAST DAY ALIVE WILL BE NOVEMBER 14. 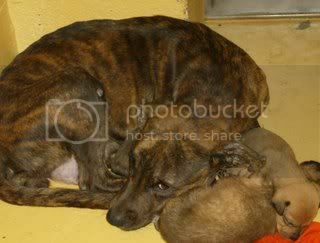 I hope you don't mind I posted his info on a Dutch Shepherd Rescue group. BO6-760 BLACK LABRADOR RETRIEVER MIX-RESCUED!